Jayson Iten, a rising senior, shot a 4-under-par 68 on Thursday, then won a four-man playoff at Palm Aire Country Club in Sarasota for the second and final spot. 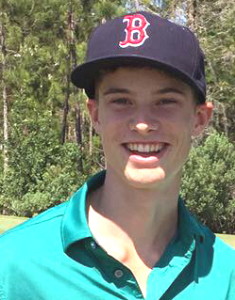 Morgan, (fellow classmate) who made it to the championship last year, played in a different qualifier Monday and failed to advance, shooting a 70 to tie for fifth, four shots short of the second qualifying spot. 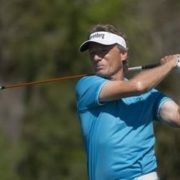 Former champions Bernhard Langer, Kirk Triplett and Lee Janzen all have committed to next month’s Chubb Classic, Naples’ PGA Tour Champions event from Feb. 13-18 at TwinEagles. Miguel Angel Jimenez, who challenged eventual champion Fred Couples for the title last year, Jerry Kelly, Colin Montgomerie and David Toms also have committed. 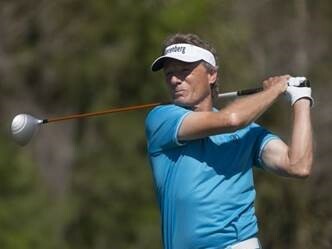 Langer, who won titles in Naples in 2011, 2013 and 2016, returns to the Chubb Classic after an impressive 2017 season. He claimed seven first-place finishes, 16 top-10 finishes and concluded the season at No. 2 in the Charles Schwab Cup rankings. 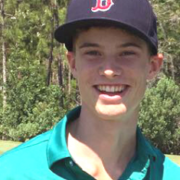 Janzen, who beat Bart Bryant in a playoff to win in Naples in 2015, had two second-place finishes in the Pacific Links Bear Mountain Championship and a tie for second place in the Charles Schwab Cup Championship. He had five top-10s and was No. 8 in the Schwab Cup rankings. Triplett, the 2014 champion at TwinEagles, had six top-10s, including a second-place finish in the U.S. Senior Open Championship. Finishing the season ranked 22nd in the Schwab Cup. 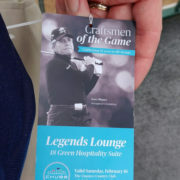 To purchase tickets or for more information about the Chubb Classic, visit www.ChubbClassic.com or call (239) 593-3900. The QBE Shootout, which is hosted by World Golf Hall of Fame member Greg Norman, is proud to enter its 29th year. Thanks to the support of tournament sponsors, fans, volunteers and the Southwest Florida community, the Shootout has become one of the most prestigious and unique events on the PGA TOUR. The 2017 field will consist of 24 professionals paired into 12 two-person teams. 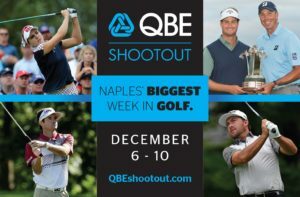 The QBE Shootout will once again feature a scramble format during the first round followed by a modified alternate shot format and a final-round better ball contest. Harris English and Matt Kuchar won the QBE Shootout last year by one stroke over Steve Stricker and Jerry Kelly. It was the second title in three years for the team of English and Kuchar who are expected to defend their title this December. 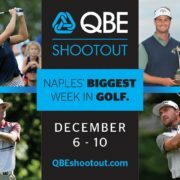 QBE’s partnership will allow the Shootout to increase the tournament purse by $400,000 over the next three years. The 2016 purse was $3.1 million and will increase to $3.3 million this year, followed by a purse of $3.4 million in 2018 and in 2019 the 24-player field will compete for $3.5 million. The QBE Shootout will also have a new broadcast partner and will return to a Sunday finish with the Golf Channel broadcasting all three competitive rounds. Live coverage will air on Friday, Saturday and Sunday. The Shootout will also be televised around the globe via the PGA TOUR’s international distribution network. For the latest QBE Shootout news and information, visit the tournament website at www.qbeshootout.com, like us on Facebook www.facebook.com/qbeshootout and follow us on Twitter @QBEshootout. Order In Advance & Save! Don’t miss the action at Southwest Florida’s only PGA TOUR event – choose from one of these great ticket options! Enjoy the action in the QBE Shootout’s liveliest hospitality venue! Enjoy locally brewed beer from Naples Beach Brewery and food from Boston Beer Garden in this exclusive shared hospitality suite situated between the 8th and 17th greens. Since 1988, the excitement of the Champions Tour has been witnessed first hand by millions of spectators, corporate clients and guests. 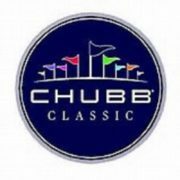 In addition to the thrill of playing in the Pro-Am, hosting customers in hospitality suites and watching championship golf, the Chubb Classic has raised more than $2 million for charity. The official charities of the tournament are The Education Foundation of Collier County, Northside Naples Kiwanis Foundation and The First Tee Naples/Collier. We look forward to positive results once again this year. 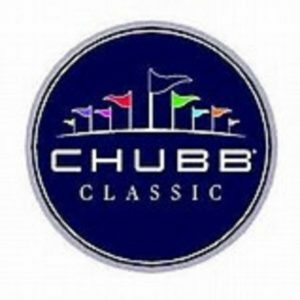 The Chubb Classic is a world class golf tournament televised nationally on The Golf Channel. The Tournament annually attracts the strongest field of competitors from the Official Money List. Additionally, golf legends like Arnold Palmer, Jack Nicklaus, Gary Player, Lee Trevino, Chi Chi Rodriguez, Ray Floyd, Hale Irwin, Tom Kite and Tom Watson have competed in this prestigious event in past years. The Ladies Professional Golf Association (LPGA) returns to Florida’s Paradise Coast in November for its season-ending championship and culmination of the “Race to the CME Globe.” The CME Group Tour Championship takes place November 14-19, 2017 at Tiburón Golf Club at The Ritz-Carlton Golf Resort, Naples. 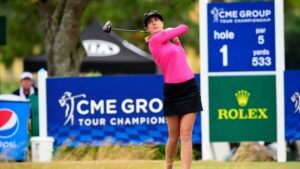 The “Race to the CME Globe” is a season-long points competition in which LPGA Members accumulate points in every Official LPGA Tournament. At the end of the season, the winning player will be named the “Race to the CME Globe Champion” and take home $1 Million. 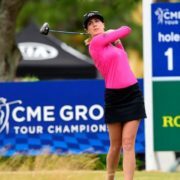 The top 72 players on the “Race to the CME Globe” points list gain entry into the CME Group Tour Championship, as well as any tournament winners from throughout the 2017 season. More information on the CME Group Tour Championship and to purchase tickets www.cmegrouptourchampionship.com. Ticket prices are available at multiple levels including basic daily and tournament tickets (kids 17 and under get in free with a ticketed adult, and at several hospitality package levels. To view ticket options and purchase online tickets visit www.cmegrouptourchampionship.com/copy-of-tickets.